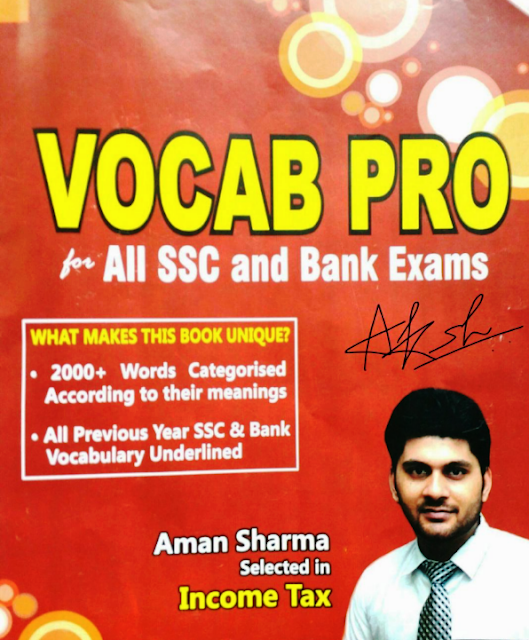 Hello Friends, Today we are sharing with you Vocab Pro by Aman Sharma pdf of Book Book in English. The author of this book is: Aman Sharma who is elected in Income Tax. This book is useful for various exams of SSC and BANK exams. The biggest feature of this book is that it has been prominently given to all the Vocabulary asked in SSC and BANK exams in the previous years. If you are preparing for competitive exams, then definitely read this book. This book will be very helpful in your preparation. You may download pdf from the link provided given below.